The Ideal Way to Experience Nintendo 3DS Games! The New Nintendo 3DS XL™ is available as an Authentic Nintendo Refurbished Product only from Nintendo, and it comes with our standard one year warranty. Although it may have minor cosmetic blemishes, it is guaranteed to be fully functional. We think you will find the standards for Authentic Nintendo Refurbished Products are VERY high. 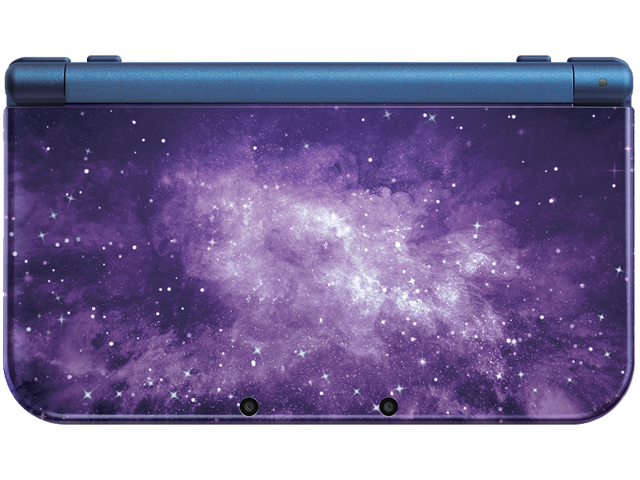 The New Nintendo 3DS XL offers a number of new enhancements designed to offer the smoothest and most engrossing portable gaming possible. New Nintendo 3DS XL features faster processing speed, a wider range of controls with the addition of a C Stick and ZL/ZR buttons, super-stable 3D via face-tracking technology and built-in NFC functionality that allows for communication with amiibo™ figures. These features add up to an amazing way to play both classic and new games. Play retro Nintendo DS™ titles, Nintendo 3DS™ blockbusters, indie games on Nintendo eShop™…all on one device. Includes Refurbished New Galaxy New Nintendo 3DS XL, stylus (color may vary), 4GB micro SD Card, and 6 AR Cards. AC Adapter not included, available separately.